The manned version of the sixth-generation fighter, which development has kicked off in Russia, will be able to eject its pilot in automatic mode, if he is in danger, Sergei Pozdnyakov, director general/chief designer of NPO Zvezda, told TASS in an interview. Zvezda is a manufacturer of life support systems for air crews and cosmonauts. “We need automatic devices to quickly analyze the situation and issue the [ejection] command instead of the pilot in a critical situation… It seems to me that the future is owned by UAVs; nevertheless, the automatics ought to be installed in the sixth-generation aircraft,” he said. According to Zvezda’s director general, the pilot may lose the sense of altitude and spatial orientation under stress and fail to make the right decision on time for this reason. According to Pozdnyakov, Zvezda has offered to resume the research that had been under way as part of the development of jump jets. “Just 20 years ago, we developed unique automatic devices that ejected the pilot in an emergency, which was his only chance for survival,” he said. 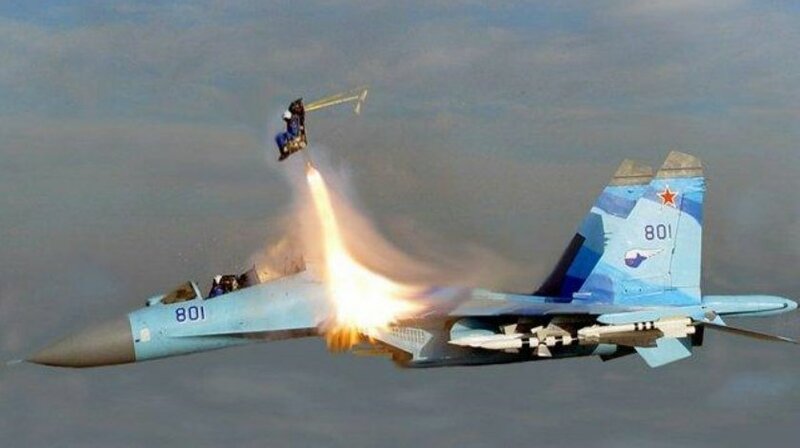 Moreover, the automatic ejection seat designed to equip Russia’s Future tactical fighter (PAKFA) is more “brainy” than that of the existing ejection seats, Sergei Pozdnyakov, d told TASS. “The ‘intellect’ of the automatics system has increased further. Owing to the integral sensors, the deployment of the chute is gaged accurately even if the plane’s systems provide no flight speed data during the ejection,” he said. Pozdnyakov noted that the advanced automatics had allowed ejecting from a lower altitude and improved the characteristics of the seat and its protection against external electromagnetic influence. “Both fragile women and tall men, whose weight varies from 45 kg to 110 kg, can use the seat,” the director general added. Zvezda is the developer of ejection seats, helmets, oxygen systems and g-suits for all types of Soviet and Russian military aircraft and space suits as well.